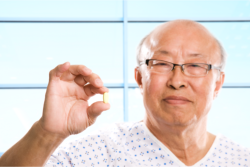 Are you having trouble swallowing pills? Do you not like the taste of your medication? Are you allergic to some components of your medication? Are you looking for medication that is no longer sold commercially? If you said yes to any of these questions, then you can certainly benefit from our compounding service! Essentially, compounding means that trained pharmacists prepare customized medications in order to meet your individual and specific needs. With our compounding service, you can rest assured that you will get the pharmaceutical product that you are looking for. Call us today at 908-245-1396 for more information about our compounding service.